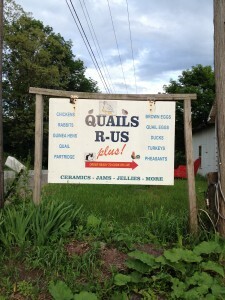 As my days here at Quails-R-Us whiz by, I’m startled to realize that I have very little time left here on the farm. After months of working so closely with the owners, living with them, taking meals with them, hearing firsthand their struggles and future plans, I’ve found that somewhere along the line I stopped thinking of this summer as a temporary arrangement and more as the beginning of a long-term partnership. During this summer I have been treated as a partner in the business, a position I’m honored to have held. Often I was asked my opinion on some managerial decision that would impact the farm well after I was gone, and I always gave my answer as if this really were my farm. Without realizing it, I started considering the success of this farm as integral to my future as it is to that of the owners. The farm’s struggles became my struggles, and I devoted as much time and effort to fixing them as I would any hardship in my own life. Any victory the farm had – getting into a new market, having a favorable article written about us in the local newspaper, securing a new CSA member – had me as delighted as if I would be benefiting from that victory myself. Every minute I spent working alongside the owners was less for me and my education and more for the continued success of the farm. Somewhere between my arrival on the farm and now, I became invested, and the continued improvement of the economic and environmental sustainability of the business became my sole goal. I’ve been giving 110% every day to make sure this farm survives. Now I find it difficult to remind myself that this is just a temporary job, and in just a few short weeks I’ll be far away from the beautiful sunlit meadows I’ve come to love. I’ve had an absolutely wonderful summer, filled with hard work and many memories, and I’m still a bit confused as to where all my time went. It’s a bit of a shock to remember that no, I won’t be here in November to make sure all the customers ordering their Thanksgiving turkeys are satisfied. And no, I won’t be here next lambing season to help birth and eartag new additions to the flock. It’s so strange, after weeks of thinking of this farm as my farm, as my future, and doing so much for its long term success, that I’ll be leaving it behind to continue my life. Maybe I’ll return someday to continue to help manage it, and maybe not. The thought makes me a little melancholy. I hardly feel that all my hard work is for nothing, though. I’ve learned so much from this experience, lessons you could never get from a textbook or a lecture. While I hardly romanticized farming before this job, I definitely was not fully aware of how much it takes out of you. I regularly have been working seventy hours a week, falling into bed exhausted at the end of the day, with barely the energy left to eat, much less do all the hiking and adventuring I thought I was going to do this summer. And still I have had more downtime than my bosses, who regularly wake up at 4am to start the day’s chores while I’m still snoozing, and who work longer into the night every night on paperwork and number-crunching. I knew before that a farmer wears many hats: soil scientist, veterinarian, carpenter, marketing specialist, mechanic. Now I know that farmers often also must know the less hands-on fields: web design, the ins and outs of workers comp, how to navigate market politics, and a lot about licensing, permits, and taxes. Many of the farmers I developed friendships with this summer cited a love of the land and of nature as the reason they kept with farming, despite all its hardships. And yet often we all are so busy farming, rushing from one chore to the next, that taking the time to consider and appreciate the natural landscape we work in gets put on the back burner. All farmers, it seems, are on the brink of survival. You’ll never get rich in farming. There always will be another crisis to attend to – an outbreak of footrot, a broken tractor, a very vocal unsatisfied customer, a bill that’s overdue to be paid. But, if you do it right, you will have a good sense of satisfaction with your life. You’ll be working hard to put food on the tables of your customers. You’ll have rewarding relationships with your community, fellow farmers and consumers alike. You’ll spend time with animals, spend time with growing things, spend time in nature every day. You’ll go to bed knowing you made a difference. And, to me, that will be what makes it worth it. 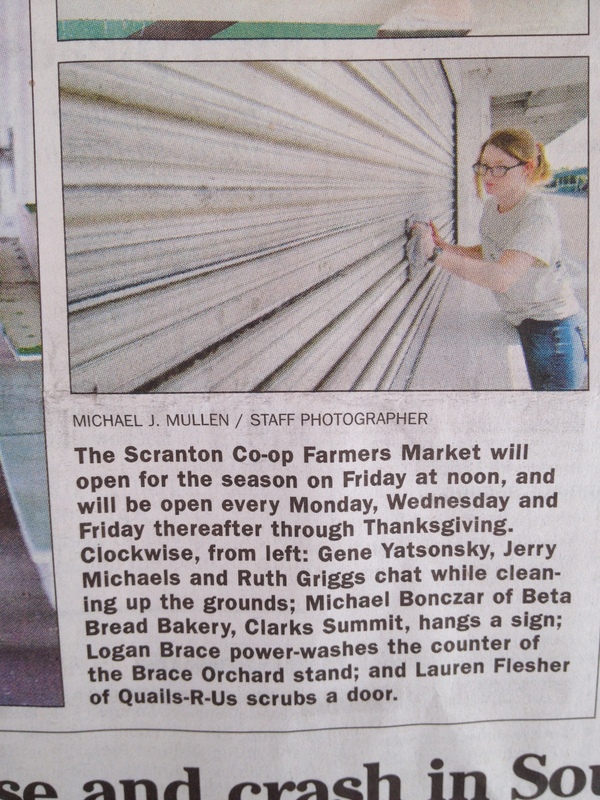 My last month in Pennsylvania marked a transition from working on the farm to working with customers at the farmer’s markets. I had been attending markets already once or twice a week, but they were small, and I usually had help. 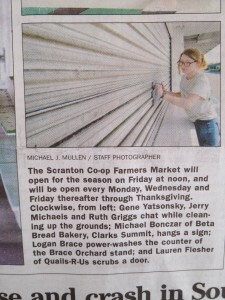 That changed though when the Scranton Co-op Market started in mid-July. This three day a week market runs for nine hours at a time, and has been open since 1939. It’s a very established market and getting in was quite a feat. I was given basically full control of how to manage this market, since I was to be the one working it, a task I did not take lightly. And by the end of that month, I had learned a lot of dealing with customers. The basic schedule of any farmer’s market is that you arrive a few hours before it opens to the public. You set up your tent and your tables, unload your product, make signs, put out promotional materials, and wait for the sales to start. QRS packs their product in large coolers, so customers don’t get a chance to casually view the inventory we have to sell, unlike a vegetable stand or a craft stand. This is why making the sign is so important. 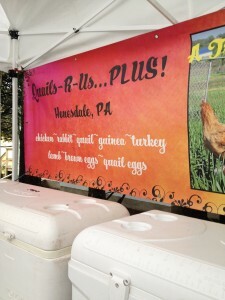 For most of the season, our signs were customized for each market on a white-board with dry erase markers. We used various colors and boldness levels to emphasize certain products over others. I learned how to organize information on a sign very well, as well as where to place the sign to get the attention of passersby. Later in the season, the farm purchased permanent signs that listed all of our inventory, even if we didn’t have every product at that particular market. For this reason, I kept using white-board signs in addition to the permanent signs. Smaller signs are also good for advertising sales or specialty products. When we had barn kittens that needed to be adopted out, we used smaller signs to communicate this to our customers. You can get a lot of information across in few words if you’re practiced enough. At any market, you’re going to be asked a lot of questions. 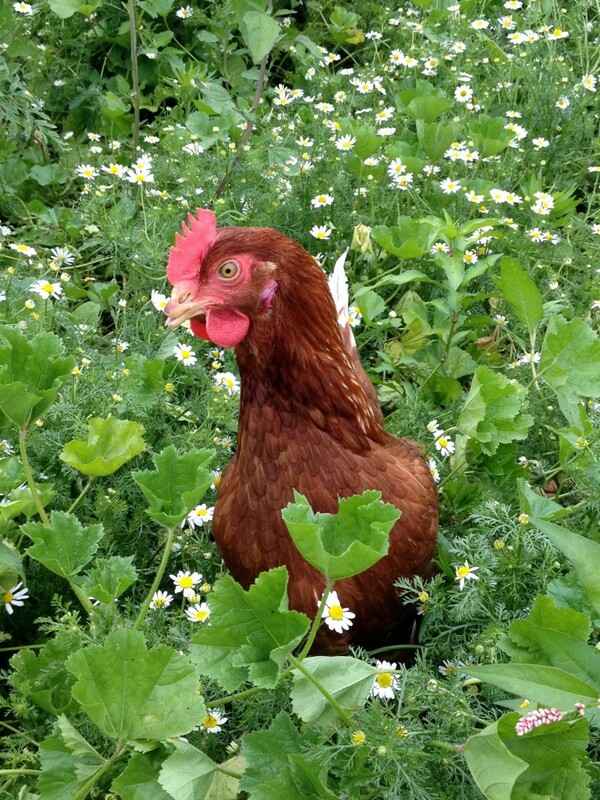 Some are out of valid curiosity: What does free range mean? Do brown eggs taste differently, or are they healthier, than white eggs? How do you use chicken feet? What do quail eggs taste like? Some are out of a desire to know the food better: Do you use antibiotics? How much time do your sheep spend outside? How fresh are these eggs? Do you feed your pigs GMO corn? 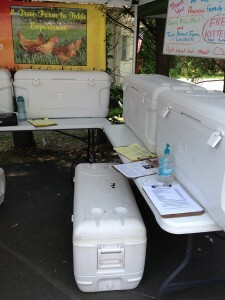 Then you have the strange questions: Do you have live chickens in those coolers? Do you have to cut a chicken to get half a chicken? Do you sell rabbit eggs? And, my personal favorite, are you selling coffins for children? I suppose our white coolers may look a little bit sinister, but no farmer’s market I know of has coffin vendors. A good market worker needs to be able to answer all these questions, to know the business and the philosophy inside and out to satisfy curiosity and make the sale. I genuinely loved engaging with our customers. When people came back saying how excellent our product was, I took it as a personal victory. I enjoyed answering questions, taking orders for the future, showing off the product, and adding up the total, and I enjoyed watching the various people go about their business shopping for their meals. Farmer’s markets are a delight. One thing I wasn’t expecting was the amount of politics that goes on behind the scenes. I suppose like any group, the vendors of a market have disputes and tensions. Some are resolved cordially, usually through a market manager or a vote, some not so cordially, and some are never resolved, but just simmer just under the surface, making enjoying the market a very difficult prospect. All vendors are there for the same reason: to make money while helping the consumer eat fresh, local, and sustainable food. It’s a shame that such petty disagreements can destroy the sense of community in a market so easily. On the whole, I had a fantastic time working at the markets. It was probably my favorite part of my internship. My market became a part of me, and it was really hard to leave it in the hands of someone else, even if they were my bosses. I met many great people, customers and fellow vendors alike, and I really hope I can work in a farmer’s market again someday in some manner, making people happy and advancing the movement. As my summer went on, I transitioned from working primarily with the animals themselves to primarily selling their products at the markets. One task that remained constant, however, was the butchery. In order to sell fresh chickens every week, we need to kill every week. And so every Tuesday I pulled on my grimiest pair of jeans and headed out to catch some chickens. The QRS chickens are white Cornish cross breed, and usually are slaughtered at about six weeks of age. The goal is to have them dress at four pounds, so the exact number of chickens caught and processed every week depended on how effective the chickens were that week at eating and putting on weight. Usually, though, it was about 200 birds. Rick and Linda prefer the white chickens to the red chickens for meat production because the muscle doesn’t bruise as easily. They also regularly do custom butchering, either for people with home flocks that can’t bring themselves to butcher their own chickens, or for large orders from restaurants. Butchering 200 birds with only 4 people in a very small room is an all-day affair that ends with us exhausted and with questionable substances staining our clothing and crusted on our skin. And it all starts with catching. I’d never caught a chicken before coming to Quails-R-Us, unless you count picking up a friendly backyard chicken every now and then. To save my dignity and the time it would have taken me to chase chickens around trying to pick them up, someone somewhere invented a handy chicken hook that you can use to trip a chicken from the back and swiftly turn it upside down, which should, theoretically, calm it. I say theoretically because I had a lot of chickens that really didn’t like being held upside down in my fist and flapped furiously when they should have been still and stoic. The chickens are placed in plastic crates and wheeled over to the kill pit, which is the modified milking parlor from when the farm was a dairy. QRS uses the typical setup that I’ve used before when I’ve processed chickens: kill cones, a scalder, a plucking machine. 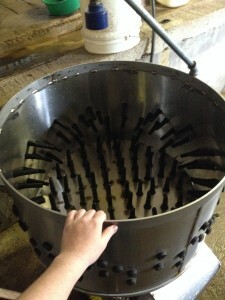 Four or five birds are processed at a time, and cycled through the machines. Some weeks we also butcher quail and guineafowl for meat, which involve similar processes with some important differences. For instance, quail feathers require a different sized plucker than the larger birds, and it’s easier usually to just pluck them by hand. Quail feathers are also prone to melting beneath the skin if they stay in the scalder too long. 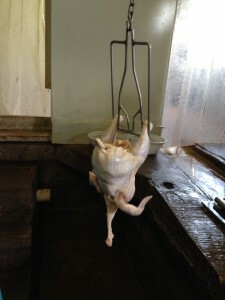 The bald, warm, dead birds are taken from the plucker and put on a stainless steel table to be gutted. QRS cuts the head, neck, and feet off, saving the latter two for sale. Gutting a chicken may seem simple but it takes a significant amount of force to pull all the entrails out at once without shredding the lungs or tearing the heart from the liver. I very quickly learned it was more efficient for me to be on salvage duty: taking the entrails and separating the wastes from the marketable organs: the heart, liver, and gizzard. I observed a lot of variability in the deposits of internal fat, cut my hands on the very sharp bones of quail, popped way too many gallbladders [releasing a dark green fluid which stains the meat] and learned a lot of recipes for these unconventional ingredients. Chicken liver was actually the product we ran out of most often at the markets – demand far outstripped our supply, and chicken liver is hard to find in your neighborhood grocery. Dressed birds were put on ice for several hours to chill, giving the workers a chance to clean up from the killing and break for lunch. Slaughter and gutting usually took about six hours. From mid-afternoon to early evening we packaged the chickens. Most are sold whole, with giblets – the neck, heart, liver, and gizzard – included. We also sold bags of individual pieces, like wings or thighs, bags of organs, feet, and necks, and a variety bag of pieces that was basically a whole chicken cut up already. Cutting was done with an industrial meatpacking saw I chose to stay far away from. I did get a chance to break down a chicken with a knife that was very informative for how the muscles are structured around the bones. The products are dried off, trimmed if needed, bagged, weighed, labelled with the date and weight, bagged again, and sealed, then placed in the walk-in cooler for sale that week. Anything not sold in that week – a very rare occurrence – is frozen for sale in future weeks. Record keeping during the rush of packaging is a must, to keep track of inventory for the week. Chicken processing is a tedious and messy business but with good conversation flowing, waterproof boots, and a sturdy apron, it’s manageable. Helping put so many chickens on the table for our customers to enjoy definitely made me appreciate the effort that goes into my own food. I look forward to the next time I get to help process, and the next time I get to eat fresh chicken for dinner after a long day of work. 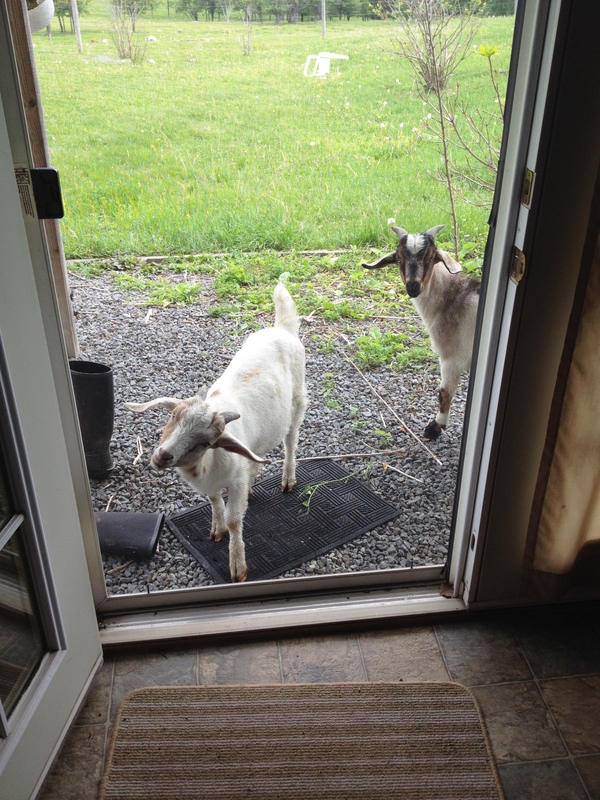 It’s a great experience to wake up the sounds of sheep and goats moving through your backyard. Except when they start grazing at four thirty in the morning. Or when the guard geese see an imagined predator and honk loudly for several minutes. Or when a young kid uses your window screen as a scratching post and almost breaks the window in the process. Yes, I’ve learned that raising small pasture animals is not quite the idyllic experience one might expect. I had a little bit of experience with sheep care going into my internship, thanks to ANSCI 3800. But I learned a lot from solving various problems and getting hands on experience. Quails-R-Us has a mixed breed flock of about thirty ewes and a herd of about ten does. The animals are bred to off the farm rams and bucks once a year, and their offspring are either kept for breeding or sold for meat. The flock has had excellent breeding success despite minimal culling, and nearly every ewe has two lambs a year. The goats usually have one kid a year. Birthing was over by the time I arrived, but it happens in the safety of the barn, using lambing jugs. At night, the sheep and goats seek out the shelter of the barn, and often spend the night inside. Despite often hearing coyotes at night from my room, the farm has minimal predator problems and lambs and kids are more likely to die from becoming tangled in the Electronet. Ideally, the animals would rotate through the 30 acres of pasture of the farm evenly, grazing everything down before being moved to the next paddock, but the permanent electric fencing on the farm hasn’t worked in years so in reality the animals have free run of the entire farm, from pastures to neighbor’s fields to the flowers planted under the kitchen window. I helped with a variety of tasks related to goat and sheep care, besides taking daily walks around the farm and untangling babies from the fencing. I helped feed the animals in the morning for a few weeks. In the weeks after birthing, Rick and Linda provide a little bit of grain in the morning mixed with vitamins and minerals to keep the animals healthy and to acclimate the babies to humans. One ewe had triplets, and her runt lamb, Mia, was bottlefed several times a day. She is a very persuasive baby, and often chased after you and insisted on feeding even when it wasn’t feeding time. My hilarious video of such encounter was too large to upload, but believe me, she was feisty. One of my first major husbandry tasks was shearing. QRS hires a professional shearer, but he has limited availability, so while usually sheep are sheared before lambing, the QRS sheep were sheared in mid-June. The sound of grain in a bucket brought them running into the barn in the middle of the day. We meticulously separated out the goats, kids, and lambs, which required a lot of patience and quick reflexes. The isolated ewes then were brought out one by one to be sheared and released. 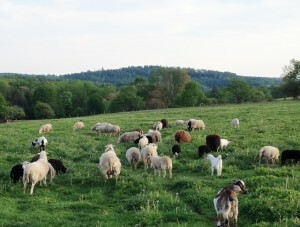 Several of the QRS sheep have Katahdin heritage, meaning they partially shed their wool. An abundance of burdock and thistle in the pasture combined with this partially shod wool meant that the wool was nearly worthless, even by meat sheep standards. It wasn’t worth our time to try to dry and sell it, and since wool is naturally fire retardant, we couldn’t burn it, so we left it in the pasture, where birds took fibers for their nests. Hoof trimming was another fun challenge for me. I’ve trimmed the hooves of sheep before but when faced with a large goat with a hoof problem, I was a bit lost. The goat, named Cow for her black and white markings, was almost as strong as I was and much more insistent about what was going to happen. My first attempts, when I managed to pin her in place and lift her hoof, took off far too little of the excess keratin, and I eventually had to admit defeat and hand over responsibility to Ramone, who wasted no time getting to the heart of the issue and swiftly freed Cow from her painful hooves. I helped disinfect her feet and gave her some grain for her trouble. I’d like to think she eventually forgave me. Towards the end of the summer, we did take the growing lambs and kids meant for butchery, now weaned, and isolate them in a side pasture with a permanent fence. Corralling animals across several acres of pasture is an adventure, but with a team we got it done. When some animals were large enough to be taken to the butcher, we weighed them first, and placed them on the trailer. And the lamb steaks and goat chorizo we got back were delicious. My first major job at Quails-R-Us was to set up electronet fencing for the laying hens. The nearly twelve hundred Red Sexlink hens had been inside for the first part of the year and were ready to begin the ‘free range’ part of their life. QRS doesn’t rotate their chickens on pasture, but instead has large semi-permanent runs accessed through chicken-sized doors in the barn wall. The food, water, and nest boxes are inside, but the bugs, grass, and sunshine are outside, and most of the hens spent at least part of their day taking dust baths and stretching their wings. Some of the hens had never been outside before, and required a lot of coaxing to become comfortable with the idea. Every morning for my first two weeks I had the responsibility of caring for the layers. The process of feeding them and collecting eggs took me about two hours, but for the farmhand Ramone or the owners, it might take one and a half. I had never spent any significant time around chickens before and while I wasn’t necessarily afraid of them I was a little overly cautious. The layers I cared for this summer are very curious about human activity, and will readily crowd around your feet and refuse to move out of the way when you’re trying to walk through them. They constantly peck at any shiny object on your boots or hat or wrist. At first I was afraid of their beaks, but I quickly learned that being pecked by an overly broody hen isn’t that painful. As time went on I became more comfortable shooing them out of my way and being the dominant creature in the coop. 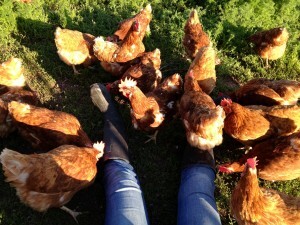 Hens swarming over me and my irresistible boots. The chicken feeders, which are used for the meat birds as well as the layers, are basically hoppers you fill at the top, and as the chickens eat, more food falls down into the tray. Their water comes from permanent piping with a movable nozzle, and they can drink by using their tongue to push the nozzle up so water drips down, similar to a hamster waterer. Hoppers full of oyster shells were provided but rarely needed human attention. Feeding the chickens took a while because buckets of grain are very heavy, and I often had to make eight or more trips between feeders and the grain wagon. But egg collecting took longer. The QRS layers have developed the unfortunate habit of refusing to lay in their nest boxes. Partially it’s because there are not enough nest boxes for the number of chickens. Usually you want one nest box for every five chickens; we needed about 250 nest boxes and were short by about 80. Additionally, many of the nest boxes had no backs, making them too bright and too open for the comfort of the chickens. Many laid their eggs instead on the floor in the darkest room of the coop, which had no nest boxes installed. Every day was an Easter egg hunt for me, as I got on my hands and knees to peer into dark corners and under feeders looking for eggs partially buried in the wood shaving floors. We tried many different strategies to get the layers to use their nest boxes. Some eggs collected from the floor were placed in nest boxes to get the hens to associate the boxes with egg laying. We put extra hay bedding in some boxes, both to make the boxes seem more inviting and to keep the eggs that were being laid inside cleaner. We put large rocks and boxes in the really problematic corners to deter laying. We put in pigeon nest boxes, which are shorter and shallower. We put some nest boxes flush with the floor. And we tried to remove eggs from the floor as soon as they were laid to disassociate the floor with egg laying. Our attempts were moderately successful…more eggs were being laid in the boxes when I left than there were when I arrived. The collected eggs – about 85 dozen a day – were washed and packaged soon thereafter. After removing poop, dirt, hay pieces, and other non-delicious items in warm water, the eggs are air-dried then packaged in cartons stamped with the date of lay and stickered with the farm’s information. From my counts, about 7% of the eggs collected broke before packaging, either due to shell abnormalities, jostling of the buckets during collecting and transport, or simple human error. 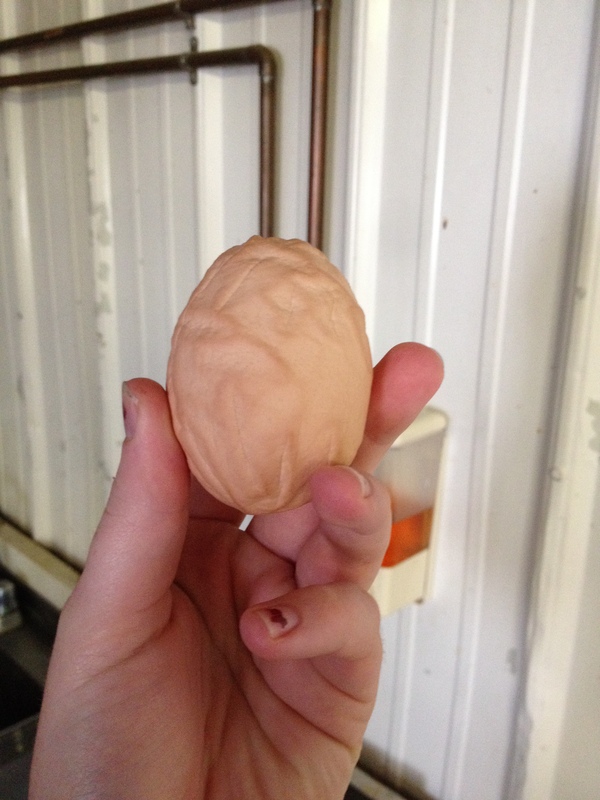 Broken eggs are fed to the pigs. 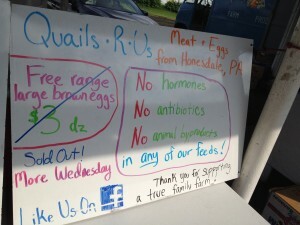 QRS sells their eggs nest run, meaning they do not weigh them for size or grade them for quality. I still learned a lot about commercial egg selling, though. Sizes of eggs are based on weight of the entire carton together, rather than each individual egg. Every day we’d have one or two very small eggs and six or seven jumbo eggs, which often contained two yolks. The rest were large or extra-large. The variation in egg shell color, texture, thickness, and pattern was astonishing. Grading in eggs is done by candling – holding a light behind the egg to get a shadow view of the contents. While our eggs were never graded, our customers always come back raving about how good their breakfasts were, so I have to assume they are at least grade A. One thing is for sure: my farm fresh omelets were always delicious. Hello and Introduction to Quails-R-Us…Plus! Hi everyone! I’m Lauren, a rising senior studying sustainable agriculture. Sustainable agriculture is a huge field, but my interests lie primarily in management intensive grazing, consumer education, and economic ornithology. I’m interning this summer on a small family farm in northeastern Pennsylvania that produces a variety of animal products. 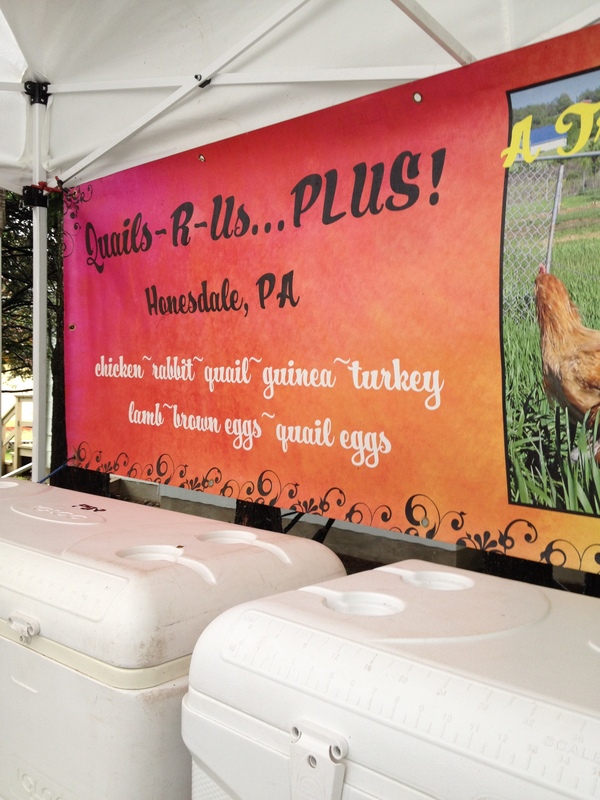 Quails-R-Us…Plus is only about five years old and is run by Rick and Linda Franciosa. The farm is still very much in the transition stage, but business is growing every year. This is the first year they’ve had an intern, so my job description is very fluid. Basically I help out wherever I’m needed, giving advice when I’m asked and learning a lot. Quails-R-Us…Plus, or Q-R-US for short, has its origins in poultry. Rick and Linda both have many decades experience in live poultry markets in New York City. 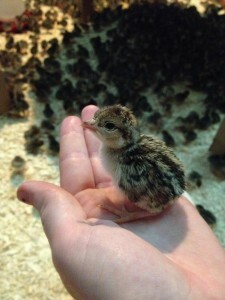 The farm started off raising tens of thousands of live quail, and has slowly morphed into its current form. 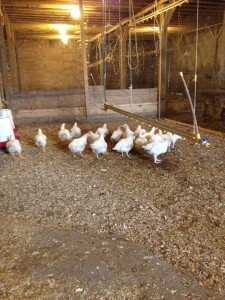 Now we raise natural and organic Cornish Cross meat chickens, Coturnix quail for meat and eggs, Red Sexlink layers, Broad-breasted White Turkey, guineafowl, mixed breed pigs, mixed breed goats, mixed breed sheep, and rabbits. Also raised are Bobwhite quail and Chukar partridge for hunting. Q-R-US has a finger in many pots. We sell direct to restaurants, we sell to whole-sellers, we contribute to two different CSA’s (community supported agriculture), we take orders from customers, and we go to seven different farmer’s markets a week. We often butcher chickens raised by others, for a fee. There are a host of pets that need care as well: dogs, cats, doves, donkeys, geese, a horse, a ferret, two cockatiels, and a pot-bellied pig. Every day is different, bringing new challenges and new opportunities to learn. I live on farm, beginning each day around eight in the morning and working until six. Rick and Linda’s daughters occasionally help out, and there is a farmhand Ramone. We butcher three days a week, and I spend all day Sunday at one of our markets. So far during my four weeks here, I’ve helped with shearing, given vaccinations, installed new fencing, given a dog a haircut, coaxed layers out onto pasture, held impossibly tiny quail chicks, and untangled a kid from Electronet. I’m now quite proficient at bottle-feeding lambs, collecting eggs, gutting chickens, and filling customer orders…not bad for someone who’s spent her whole life in the suburbs! I’m learning a ton, and most of it is random tidbits and insights you’d never find in a textbook. The kind of learning that only comes from hands-on experience, which is of course the very point of the internship requirement. My only given task for the summer is to build the business a website, a process I’m very much enjoying despite its surprising difficulty. I am surrounded by Cornell alumni. Rick is a Class of ’82 animal science alum, and Q-R-US does a lot of partnering with Twin Brook Farms down the road, managed by Class of 2010 ag sci alum Cassie and her husband Erik, Class of 2010 natural resources. When I wear my Cornell shirts to markets, many customers comment on how beautiful Ithaca is, or how great their education at Cornell was. It makes me so thankful for my Cornell community. I can’t wait to continue to learn from my mentors!